You’re ready to upgrade some of the flooring in your home and all the options are overwhelming you. Don’t worry – we’re here to help you make the best decision for you and your family. You’ve narrowed down your options to linoleum and vinyl. It’s a decision that isn’t as simple as price comparison. Let us provide some information to help you along in installing the best flooring imaginable. It’ refreshing knowing that even though linoleum has a slightly pricier square foot price of two dollars, it’s an environmentally friendly material. This product is primarily composed of linseed oil, refined from flax seeds. It is then mixed with cork dust, tree resins, and other renewable resources. This makes linoleum 100 percent biodegradable. Conversely, vinyl is a cheaper material at 50 cents per square and requires a lot of energy to manufacture. Using petrochemicals, its triple layer consists of a backing made fiberglass or felt, a middle layer that is the printed designs, and a top layer of sealant or floor protectant. When shopping for vinyl, remember to inquire about its FloorScore Certification or any other safe indoor air quality standards. You’ve decided to spend the extra on linoleum flooring and you can rest assured that it can last up to 40 years. There will be some small, routine maintenance to help keep the life of your flooring. You will want to apply acrylic coating once a year. This surface can be sensitive to some cleaning chemicals, so do your best to choose neutral detergents. If you are able to take care of your vinyl flooring, you will easily get 10 years of life from it. It isn’t an issue of maintenance that vinyl can withstand any chemical you want to clean it with. Vinyl is thinner causing it to wear easier and not hold up well to foot traffic. In sizing up whether to get linoleum or vinyl flooring may seem cut and dry when viewing costs versus value, but not so fast! If waterproofing is of particular concern to you, vinyl out-performs linoleum by a long shot with it being 100 percent waterproof. Linoleum’s integrity can be weakened with excessive moisture. 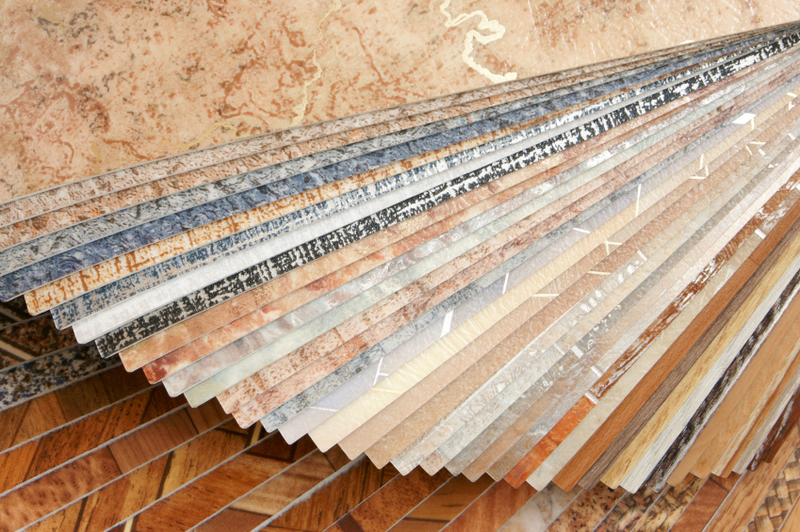 Flooring HQ is ready to answer all of your linoleum and vinyl flooring questions. Give us a call so we can get to work for today!